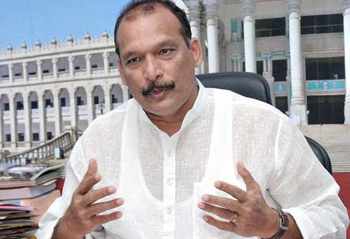 Mangaluru, Mar 21, 2018: MLC Ivan D’Souza, known Congress leader, said that he was an aspirant for the Congress ticket from Moodbidri Assembly Constituency in Dakshina Kannada district. Talking to media D’Souza said he had submitted his application seeking ticket after the sitting MLA, Abhayachandra Jain, expressed disinclination to contest some time ago. When it was pointed that MLA Jain had since changed his mind and statement, MLC D’Souza said it was for the party high command to decide on whom to give the ticket. However if the high command gave the ticket to MLA Jain, he would work as a disciplined soldier for the success of the party, Ivan D’Souza stated.